LVI, 480 p., 20,8 x 29,0 cm. In cooperation with Peter Amelung, Irmgard Schauffler and Eberhard Zwink. 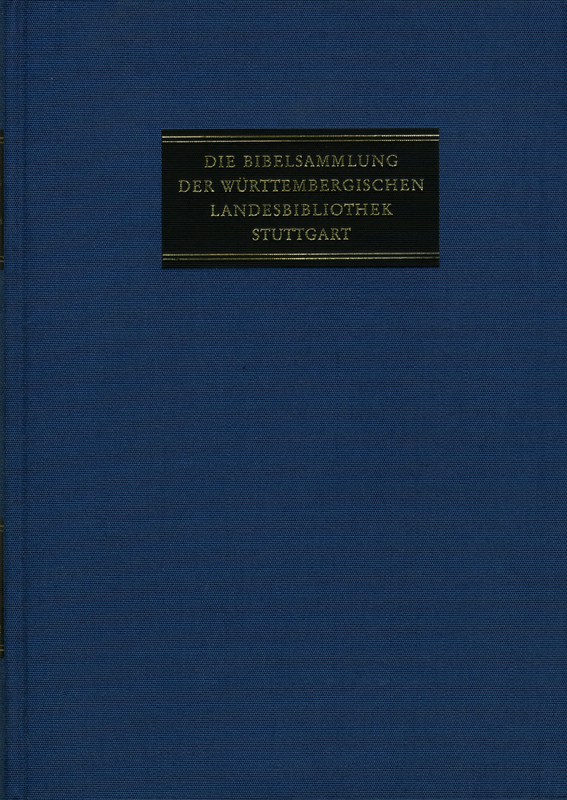 Only the Württembergische Landesbibliothek is in possession of all Upper German pre-Lutheran Bibles. It also has many of the original Wittenberg versions of Luther’s translation and revision as well as the reprints from Augsburg, Basel, Nuremberg, Strasbourg, Zurich etc as well as the principal Catholic and spiritualist Bible translations. This volume provides new insight and additional material on the history of the Bible and biblical illustrations.